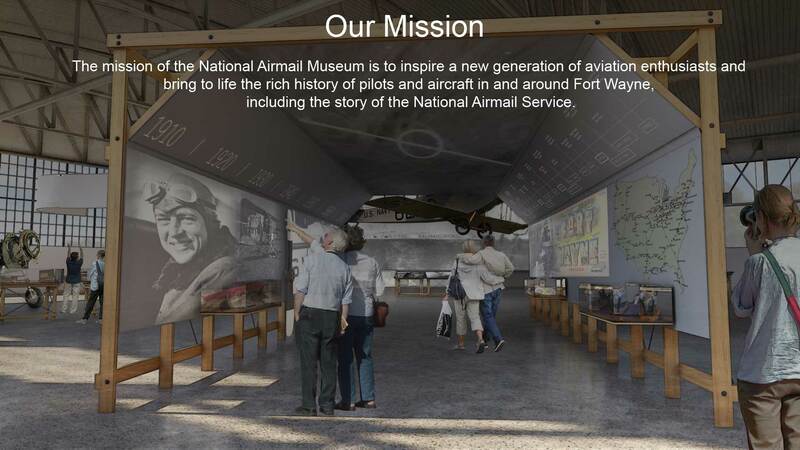 The mission of the National Airmail Museum is to inspire a new generation of aviation enthusiasts and bring life to the rich history of pilots and aircraft in and around Fort Wayne, including the story of the National Airmail Service. THE FIRST aerial mail transportation may be traced back to 1870, when in that year letters were carried out of beleaguered Paris by free balloons, cast adrift in the winds. The first of such flights was made on September 23, 1870, and carried 500 pounds of mail. This service, of course, was not satisfactory, as the balloons could not be controlled and were just as liable as not to land in enemy territory. Some of them were carried by the winds many miles from Paris before they came down, and some of them were never heard of after leaving Paris. In the year 1911 demonstrations of airplane mail service were made in India, England and the United States. The first air mail service in the United States, however, was conducted at the aviation meeting at Nassau Boulevard, Long Island, N. Y., during the week of September 23 to 30, 1911. Earle L. Ovington, with his “Queen” monoplane, was duly appointed an air mail carrier and covered a set route between the temporary post office established at the flying field and the post office at Mineola, N. Y., dropping the pouches at the latter point for the postmaster to pick up. This service, performed without expense to the Department, was flown at regular intervals during the period, a total of 32,415 post cards, 3,993 letters and 1,062 circulars being carried. It was quite satisfactory on the whole, and very promising.